I'm following Mab Graves Drawlloween club on Instagram in October. A new drawing challenge every day. 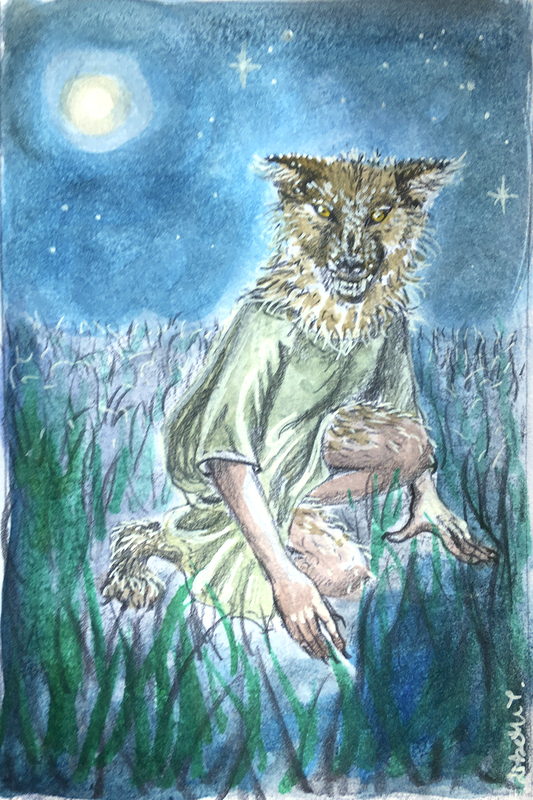 This is day 17: Werewolf. One minute your in bed sleeping peacefully, then the fullmoon shines through your window, and all hell is loose!